The 12 ordinary meridians are the ‘intelligences’ or consciousness that organize life according to the parameters received by the 8 extraordinary meridians, which are the deeper channels of ’cause’ that determine reality. According to the teachings of Almine, we know that purification of the meridian system is essential to achieving liberation from the triad of linear change, and being able to move to a self-sovereign reality wherein we will find a perpetual energy source through alchemy with the Infinite. Emotions and memory stored in the 12 ordinary meridians, and the primary illusions of separation in the 8 extraordinary meridians have been the ‘gatekeepers’ that have locked us into ‘the matrix’. 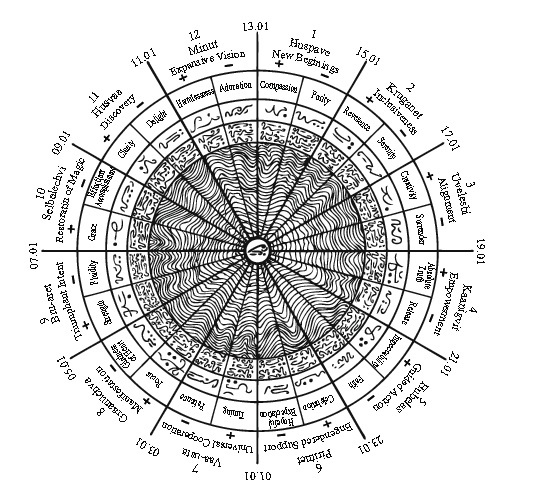 The emotions of the 12 ordinary meridians have acted as dirty fountain water recycling through a closed system that has been the static infrastructure (the directions) of the 8 extraordinary meridians locked into belief systems. The Lemurian angels have referred to the 12 OMs as the “polluted rivers of filth“. While most of us have been working on clearing emotions for years, what we have been doing, in effect, is to sweep the dirt around in a prison cell. Yet, the door to the cell is unlocked and we may leave it and the dirt behind at any time. The ‘prison’ was first an ‘incubation chamber’ (and you will learn how it has served through the material) but the time to move beyond emotions altogether is now at hand. This set of videos are tools to support you to walk out of the old illusions and into the new dawn of true liberation and emotional self-sovereignty. This series of 12 Videos for Clearing & Activating the 12 Ordinary Meridians engages the powerful hidden planets and activates their qualities to transcend false emotions. The hidden planets bring a new astrology of empowerment such that we may become self-determining in the strengths and qualities that we choose to express in life. Our contribution to life is through emphasis of qualities, and no longer are we bound to personalities or limited by strong and weak suits. Through their potent qualities, all false emotions dissolve and powerful states of being become ours to wield at will and through inspiration. Almine has expressed that the master uses the knowledge of the planetary influences to strengthen his or her manifestation skills. The known and hidden planetary systems represent the cosmic equivalent of the proactive and receptive qualities of the meridian system in our bodies. 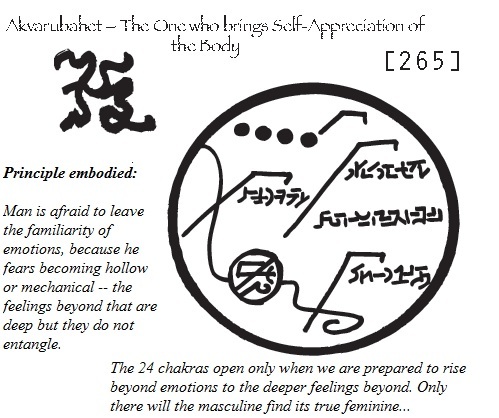 Through activating their qualities we get alchemical leveraging, and can achieve androgynous expression in the meridian system. This in turn causes the opening of the 24 chakras of sexual magic. And so we also activate the Tones of Purity and Tones of Clarity for the each of the meridians. Purity is that which originates from beyond the matrix of separation and duality. It creates a song in the meridians that directly supports the 24 inner chakras to open (this is explored in a separate product). The Lemurian angels state that the 144 Tones of Purity (feminine) open up 144 cardinal acupuncture points in the etheric body (also referred to as the gates of abundance), which then sing parts of the Song of Self, much like an orchestra interacts with the soloist that comprises the 24 chakras. When we also begin to sing the 144 Tones of Clarity (masculine), which extract the essence from the experience of separation into a ‘knowingness’, we then merge purity (innocence) with clarity, and both the 24 inner and 24 outer chakras enter into a fluid alchemy with one another. This chakra system is important in order to operate from the new energy source that is based on alchemical leveraging. In the matrix of duality, the only choice we had was to make the matrix larger and keep negotiating with it. At this stage, the matrix is no longer viable, as its energy source has dried up–“the womb has become a tomb”. The new reality is one beyond all emotions that will reveal itself to us increasingly as -we still the mind, become self-fulfilled, self-determined and free of enmeshment in relationship, and follow inspiration. These videos help to awaken new perspective and feeling states, beyond the matrices of distorted perception and emotions. Each moment wherein life is birthed anew within you, rewrites the past until all memory dissolves. When the meridians are cleared of memory, we may become the white magician that is a force of benevolence to all life. It is then that life unfolds to ever refined expression. To clear all emotionality. They help awaken new qualities that will empower your daily Field of Hope and support you to show up anew in life, focusing in those areas where you have self-abandoned. As you fill out the missing tones that have made you feel unwhole, you are plugging up all leaks in the ‘alchemical vessel’ of the body. The missing tones call back parts that have been stuck in spirals of time and strewn across space (including the organs). Missing tones cause disease and distress, and bringing them online transcends disease. Emotions of desire represent the longing for the missing songs–this creates space. When we sing those songs, space becomes fluidly re-forming in each moment. Emotions of recognition that come from the deep peace and confidence of one’s fullness are then possible, and these serve as pure power to catalyze magic and evolve awareness to behold life behind the appearances. The meridian videos seem to get more and more powerful as I use them! I can feel so many old patterns just falling away–they are amazing!Anita´s work has changed my life. These videos are filled with her unique vision and creativity that capture the most pristine energy I have ever encountered. I highly recommend this amazing set of videos wholeheartedly. The word gratitude falls short when trying to express what Anita has opened me to. Monica Rodriguez, Mexico City. A manual on ways to use the audios, a booklet of light elixirs and key information for each of the meridians, an audio talk, and a handy reference table with the meridians, FA oils, emotions, hidden planets, qualities, and affirmations. A 65-point protocol and process (in video format) to clear the 144 cardinal acupuncture points of the etheric body–these are the ‘gates of abundance’ that open when the discordant frequencies of the soul body clear.